At schools across England, there is a rising tide of anger and concern among parents and teachers. Amid accusations of government bullying, as a result of the 2010 Academies Act, hundreds of schools are being transformed into independent academies that operate outside the control of local authorities. The government says the change, a historic shift away from the comprehensive education system, is for the better. But critics argue it is more about creeping privatisation than improving standards. Chorlton High School in Greater Manchester is one of many where there is active resistance to the process. Unlike some low ranking schools, which are being forced to become an academy by the Department for Education (DfE), the governors at high achieving Chorlton want to voluntarily convert. They believe that because of the current financial climate, becoming an academy would “best protect the nature and ethos” of the school. However, parents and community activists have formed a campaign group to oppose the move, which they argue would leave the school unaccountable to local people and could open it up to for-profit providers in the future. As part of its “education revolution”, the coalition wants all schools to have the chance to become academies. Of the 3127 maintained secondary schools in England, as of 1 February, around half – 1580 – had converted to academy status. Receiving funding directly from central government and not local authorities like comprehensive schools, academies have greater freedom and control over their finances and do not have to follow the national curriculum. Some can be sponsored by charities or businesses, which can choose the headmaster of the school and have a say over what is taught. Controversial so-called “free schools” can also be set up by groups of parents, teachers, charities, trusts or religious groups, which then become academies and receive central government funding. 24 free schools opened in 2011 and a further 72 are planned to open in September 2012 and beyond. But teachers groups are staunchly against the introduction of free schools and academies, questioning the merit of allowing untrained educators and companies with vested interests to exert influence over children. There is widespread anxiety that the Academies Act is leading to what is in effect privatisation. Although the coalition has given assurances that it will not open up schools to for-profit companies, it refuses to rule out doing so in the future. Already, firms such as Barclays Bank have sponsored schools – raising questions about what they as businesses stand to benefit. “It’s anything but privatisation through the back door – they’re parking the tanks on the lawn,” says Alasdair Smith, spokesman for the Anti-Academies Alliance. “They’re blowing local authorities away so lots of schools feel that they have no choice but to become self governing academies or to join chains. The rapid boom in school conversions has proved costly for some councils. In Yorkshire, at least 16 schools tied to private finance initiative deals are applying or have become academies, according to the Yorkshire Post. This could mean the region’s councils are forced to pay millions for schools they no longer run or own. Last month, governors of Coleraine Park Primary in Tottenham, north London, became the latest in a line of schools forced to become an academy by the DfE following a poor Ofsted report. Coleraine was made to accept sponsorship by the Harris Federation, a charity chaired by Tory peer Lord Harris, which runs a chain of academy schools. The charity is not-for-profit, though notably one of its directors was paid over £240,000 in 2010. Downhills Primary, also in Tottenham, is faced with a similar predicament. Because it has been placed in special measures by schools inspectorate Ofsted, which means it is underperforming, the DfE is able to compel it to become an academy under the powers granted by the Academies Act. The school’s head, Leslie Church, recently resigned after coming into conflict with education secretary Michael Gove – but parents are vowing to fight the conversion in his absence. “At our school the children are happy, the children are learning and I don’t have concerns,” says Wendy Sugarman, 44, whose eight-year-old son attends Downhills. “There is some really good teaching going on. The Ofsted report was very, very harsh. Fears about the degree to which academy status can improve schools were confounded in February after Birkdale High School in Southport was deemed “inadequate with special measures”, the lowest ranking, four months into its academy status. A Department for Education spokesperson said: "Children get one shot at education – so there’s not much value in getting dewy-eyed about failing council schools which fall short year after year. Parents want their kids to have the best education regardless of what the type of school they go to. “It would be a dereliction of duty to stand by and do nothing when schools are underperforming badly. Academies have already turned around hundreds of struggling secondary schools across the country and are improving their results at twice the national average rate. Academies were established under the New Labour government in 2000. They were seen as a way to improve poorly performing schools in disadvantaged areas. Until 2009, local businesses, philanthropists and educational charities were involved by sponsoring the set up of the schools with £2m. In May 2010 there were 203 academies in England. This number has rapidly increased following the introduction of the coalition’s Academies Act in July 2010, with over 1500 secondary schools academies now recognised. In contrast to Labour, the coalition has placed focus on converting top achieving schools first. There are two types of academies: sponsored and convertor. Sponsored academies are schools adopted by an educational sponsor or chain, while converter academies are good or outstanding schools which have converted their own status. 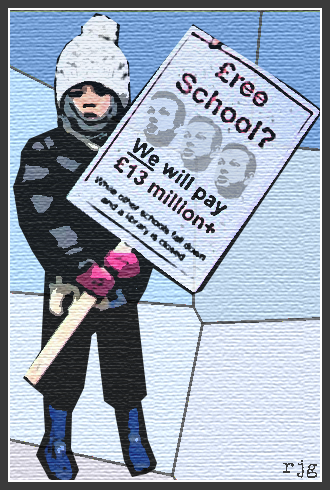 Free schools were introduced by the coalition under the Academies Act, which made it possible for parents, teachers, charities and businesses to set up their own schools with government funding. Once established, they function in the same way as academies. Education secretary Michael Gove says free schools offer a “genuine alternative” and “the freedom to be different.” But critics say they will primarily benefit middle-class parents and will divert money away from existing schools. This article first appeared in issue no.919 of The Big Issue in the North.